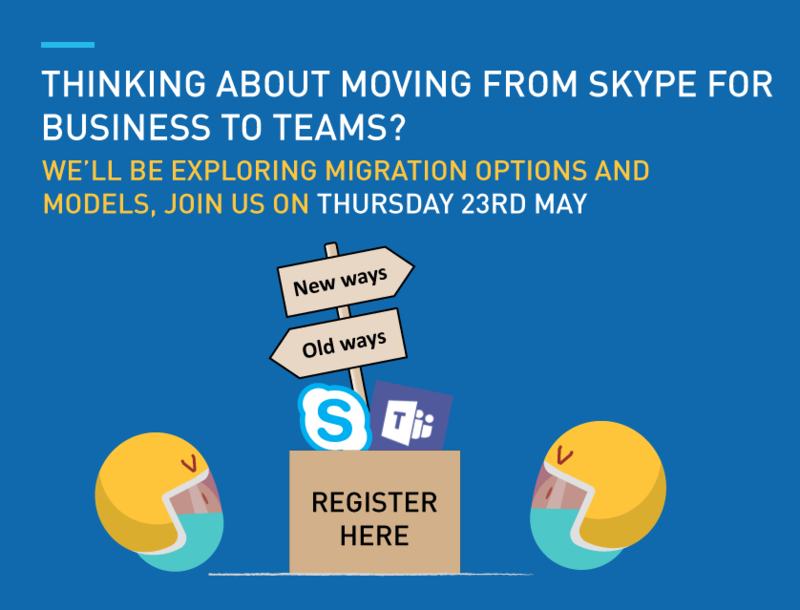 When should your business use Yammer, and does it still have a place alongside Microsoft Teams? 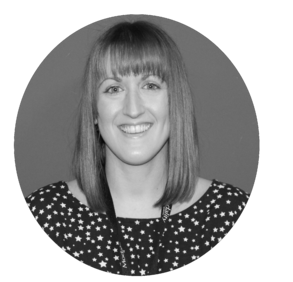 Internal Communications Specialist Lyndsay Ansell provides some guidance, based on her first-hand experience of using and managing both Office 365 tools. There are many ways to cook your eggs. Should you require your end result to be fried, you'd probably use a frying pan and some oil. If you prefer your eggs to be boiled, you'd use a saucepan and boiling water instead. Don't worry, I haven't finally cracked, I am about to make an egg-cellent point: We can draw much the same comparison with our collaboration and communication styles! Depending on what we want the end result of our communication or collaboration to be, there are multiple tools available to us for these purposes too. Choice is good but sometimes it can be overwhelming. Some tools will be better suited than others to your particular goal - you'd find it difficult to fry an egg using a saucepan of boiling water. So how do we figure out which collaboration tool to use when? The key is to stay focused on the outcome. Are you working on something but have hit a blocker and run out of ways to try and resolve it? Or have you got something sharable that you'd love to get a wide range of feedback and opinions on? If you're looking to benefit from the knowledge and opinions of people around your business, Yammer is a useful option for this type of communication. The benefit of asking questions on Yammer is that posts are visible to everyone, so you've got a potential pool of knowledge from across your whole business to draw upon. Yes, you could use Teams for this too, but your cry for help or request for feedback would only reach the people included in the Team - consider that there might be others out there (possibly in different regions or departments that you'd never think to ask) who may have some valuable input for you. If you're working to achieve something particular - let's say organising an internal event with a relatively small group of people, Teams would be a great fit here. Teams provides you with a dedicated 'project space' to chat, store and co-author documents, plus the capability to rope in other tools like Planner to help assign action items and deadlines.Yes, you could use a private Yammer group for this too, but Teams has better channel chat text formatting options (and you'd be surprised how useful this can be to encourage constructive conversations). It also has many options for adding other tools and third party apps that might be helpful to your purpose, such as Jira and Hootsuite. Knowledge in one person's brain can be powerful. Knowledge spread across multiple brains can almost be a super-power. The open nature of Yammer makes it a great tool for sharing knowledge. The search feature in Yammer is also pretty good at surfacing not only conversations, but groups, topics, documents and even contents of documents related to your search term. Sharing knowledge gains that others across the company can discover later is a great use of Yammer that offers real benefits. You could use Teams for this, but the knowledge is likely to be less discoverable this way, depending on who's in or out of which Team. Isn't it great to have the ability for multiple people to edit the same document, rather than exchanging hundreds of emails with incremental 'final FINAL v9.99' version numbering? Everybody's looking at the most current content this way and nobody's getting confused. Again, this is something you could do using Yammer or Teams as both have document storage and edit options. For my money, Teams is the better fit here. Teams makes it easier to break out into the desktop versions of applications, rather than editing online, because sometimes things (like the fancy bits in Excel) work better that way! In some cases, perhaps a blend of tools will work for you (like using a whisk and a pan to scramble your eggs). If you’re working on a new product idea within a channel in Teams, you could include a Yammer tab within it. 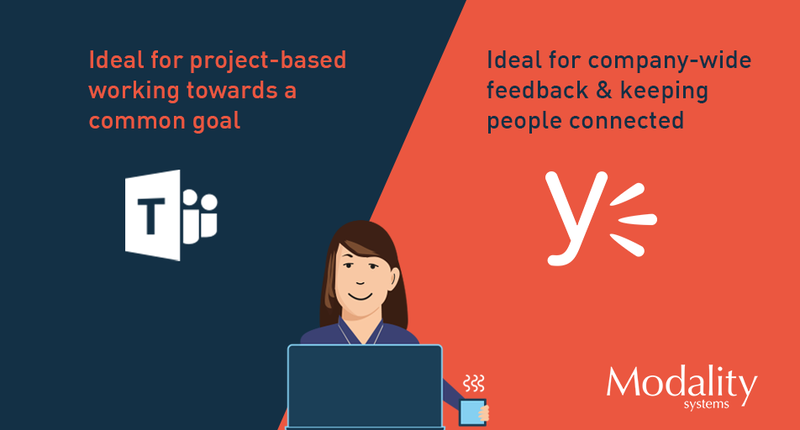 This will enable Team members to reach out to the wider organisation for feedback or ideas on prototypes, without having to leave the platform they’re working in. So there you have it. Whether you're knocking up an egg-white omelette or requesting feedback on a new office layout, there are different tools available to you. Staying focused on your outcome will help to shape your decisions about which tools to use. Focus on the egg and the choice of pan will become clear. 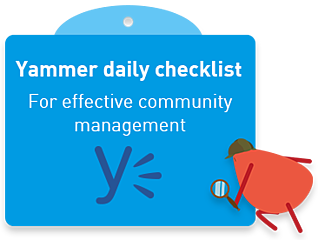 If you are using Yammer and need some guidance on managing it, download our Yammer daily checklist for recommended regular actions to optimise usage. Did you find this helpful? You can get in touch with me on Twitter or LinkedIn (profile links below) if you have any questions or feedback - I'd love to hear from you. Alternatively, leave a comment below. 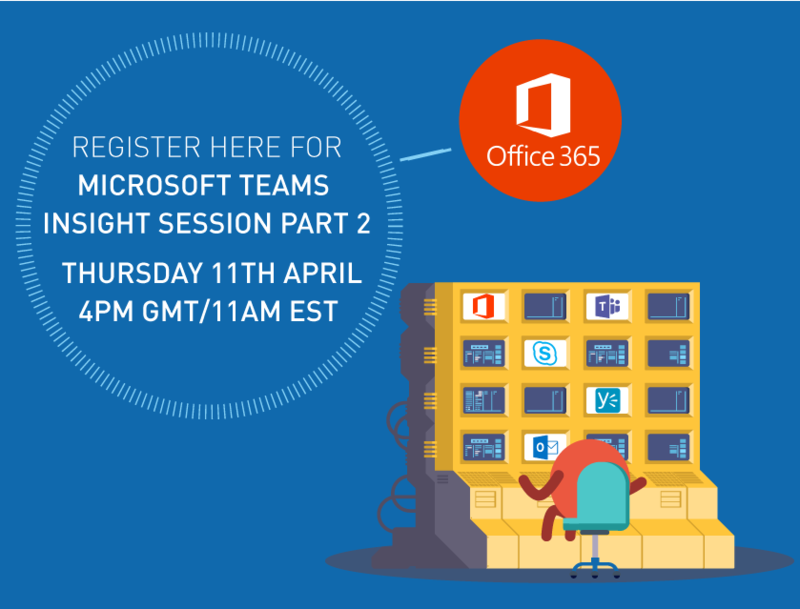 For more insights on which Office 365 tool to use when, watch our webinar on demand.